Wesley Davis is in his ninth year at Marcus High School and fourth year as Head Choral Director. He directs the Celesti Varsity Women’s Choir, Resonare Varsity Men’s Choir and Marcus Chorale. In addition he directs and arranges music for the Marcus female a cappella group Fusion. A native of Houston, he is a graduate of the High School for the Performing and Visual Arts. He holds a Bachelor of Music Education with honors from Oklahoma City University where he studied with Judith Willoughby and Dr. Randi von Ellefson. Wes is one of the 2015 recipients of the TCDA Young Director of Distinction Award. His students have consistently made Region and All-State choirs in addition to receiving superiors in Solo and Ensemble contest. His choirs also consistently receive Sweepstakes at UIL contest. He is a member of the Texas Music Educators Association, Texas Choral Directors Association, Texas Music Adjudicators Association, American Choral Directors Association, A cappella Education Association and the Women’s A Cappella Association. Drew Howard is in his first year at Marcus High School, and is also in his first year of teaching. He graduated from The University of Oklahoma in December 2017 with a bachelor’s in vocal music education. At The University of Oklahoma, he participated in all choral ensembles, including the Men’s Glee Club, Chamber Singers, Singing Sooners, and the Chorale. He also performed as a chorus member in several university opera productions. 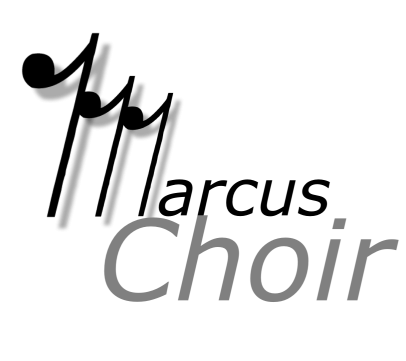 Drew is an active member of the American Choral Directors Association, Texas Choral Directors Association, National Association for Music Educators, Texas Music Educators Association and Phi Mu Alpha Sinfonia. Joshua Brown in his first year of doctoral studies at the University of North Texas. Mr. Brown is the Director of Music at St. Philip Presbyterian Church in Hurst and is on the Voice Faculty at Marcus High School in Lewisville ISD. In addition, he serves as the Artistic Director of the Coppell Community Chorale. Prior to beginning his degree, he served as the Director of Choirs at Coppell High School from 2012-2017 where his choirs were selected to perform at the White House (2014), Texas Music Educators Convention (2017), and Southwestern American Choral Directors Convention (2016). Mr. Brown holds a Bachelor’s Degree in Church Music from Dallas Baptist University and a Master of Music Degree from Baylor University. While at Baylor, Mr. Brown was privileged to serve as a teaching assistant and graduate conductor for the Baylor A Cappella Choir, Chamber Singers, Men’s Choir, Women’s Choir and Concert Choir culminating in a performance of the Schubert Mass in G with the A Cappella Choir and members of the Baylor Symphony Orchestra. In 2007, Mr. Brown was selected as one of eight National Graduate Semifinalists in the Choral Conducting Competition of the American Choral Director’s Association. He has studied conducting with Dr. Stephen Holcomb, Dr. Donald Bailey, Dr. Anton Armstrong, Dr. Jeffery Ames, Mr. Stephen Heyde, Dr. Eric Wilson, and voice with Dr. Susan Wyatt. Jessica Espiritu was born and raised in Mesquite, Texas. Jessica received a BM in Vocal Performance from Southern Methodist University in 2008. During her undergraduate years, she performed with Meadows Opera Theatre (SMU), The Living Opera and Metroplex Opera. She traveled to the Franco-American Vocal Academy in France to perform the role of Berginella in Offenbach’s La Perichole as well as multiple recitals with FAVA. In 2010, Jessica received her Master of Music degree from Texas State University, under the tutelage of Cheryl Parrish. Jessica now lives in Dallas with her husband, Emmanuel, their cat, Hoffman, and their (adorable) son, Xander. She has been on the voice faculty at Briarhill for 6 years, Marcus High School for 3 years, and is also a professor of voice at Mountain View College. Jessica is a member of TMEA, NATS, and TPSMEA. Amanda Evans is a native to the North Texas area. She attended Texas Tech University where she obtained a BA in Music Education and an MM in Vocal Performance. After graduating, she began a career in opera as an apprentice with the Des Moines Metro Opera. Amanda continues to sing professionally and has expanded her repertoire to many different styles of music. In addition to performing, Amanda has twenty-three years of diverse teaching experiences. She is also a choral director having served in both public schools and various churches. Amanda currently resides in Highland Village with her husband and three boys. She teaches at Marcus High School, Briarhill Middle School, her home voice studio, and directs the Youth Choir at Trietsch Memorial United Methodist Church in Flower Mound. Amanda is a member of the Texas Music Educators Association. Mrs. Ribb was originally a Fighting Farmer, having graduated from High School at Lewisville High School. At LHS she was captain of the varsity soccer team, Sr. Lieutenant of the drill team, and student director of her Choir. She made All-State Choir 2 years and was ranked 1st chair. Mrs. Ribb received her Bachelor of Music Education degree from The University of North Texas in Denton. She attended UNT on a vocal scholarship, made the top choir as a freshman, was voted Outstanding Freshman Vocalist, performed in several musicals, and was named Outstanding Student Teacher her senior year. Mrs. Ribb began her teaching career 30 years ago at Blalack Middle School in Carrollton, Texas; where she directed a program of 500+ choir members. Upon moving to Highland Village, Mrs. Ribb began teaching Choir at Lamar MS; where she was named Campus Teacher of the Year and received the PTA Lifetime Membership award. Mrs. Ribb’s choirs consistently received superior ratings at UIL contests and festivals. Her students also consistently placed well at individual competitions such as All-District Choir, All-Region Choir, and Solo & Ensemble Contest. Upon retiring from teaching in the public school system, Mrs. Ribb began teaching voice lessons at Marcus High School and Briarhill Middle School. Along with teaching private voice at Marcus, Mrs. Ribb is an adjudicator for UIL Contests, Solo & Ensemble Contests, and a clinician for All-Region Choirs in the state of Texas. She is married to David, who is the head audio engineer for the Daystar Television Network; and has one daughter, Anna, who is a Sophmore at MHS. She resides at her home in Highland Village with her husband, her daughter, Buddy (the dog), and her two fat cats – Aragorn & Arwen.